Cemeteries? You won’t walk by one after dark? Here beyond the windows behind my desk is a cemetery. The tombs I cannot see, a building blocking my view, but what I can see are, on a summer day, some leafy green trees. 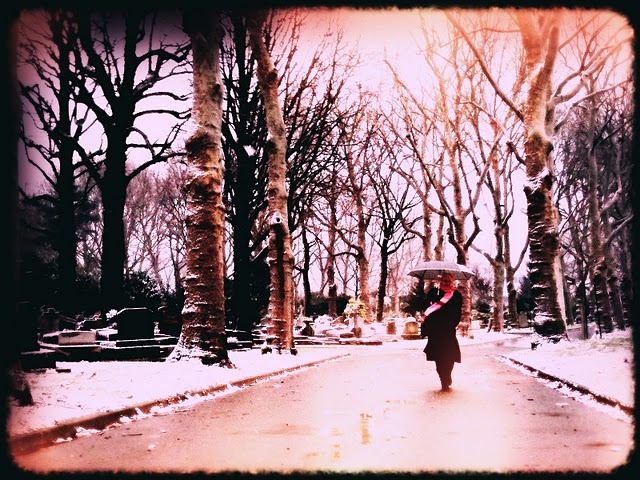 But it does not upset me because I love cemeteries: I am a cemetery walker. You think that this is weird: I am weird? I will tell you something. In France cemeteries are cherished. They are revered. They are respected, as if they are places of worship. This is how I too feel about cemeteries, so I go walk about in one or the other often. And I can assure you I am not the only one to do so. 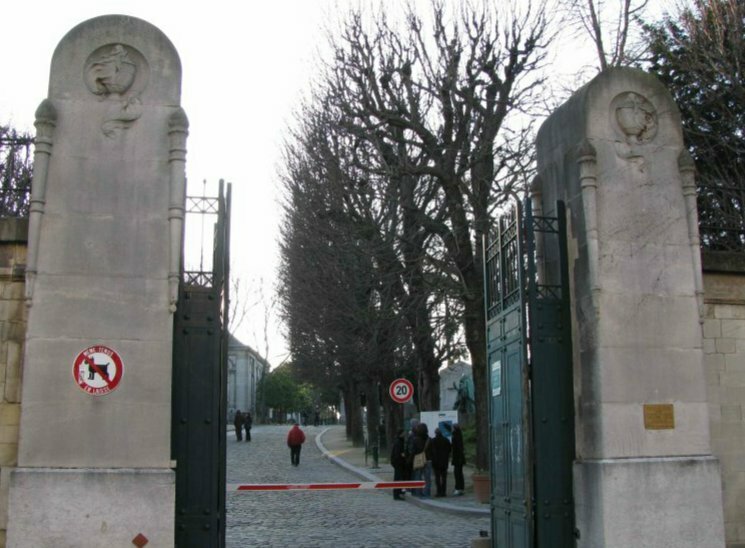 For example, Paris’s most famous (illustrious) burial place – Père Lachaise Cemetery (photo down below) – the final resting place for 1 million departed gets 2 million visitors annually. A certain famous artist also loved cemeteries and used to go walk about in them too. This was Vincent van Gogh. 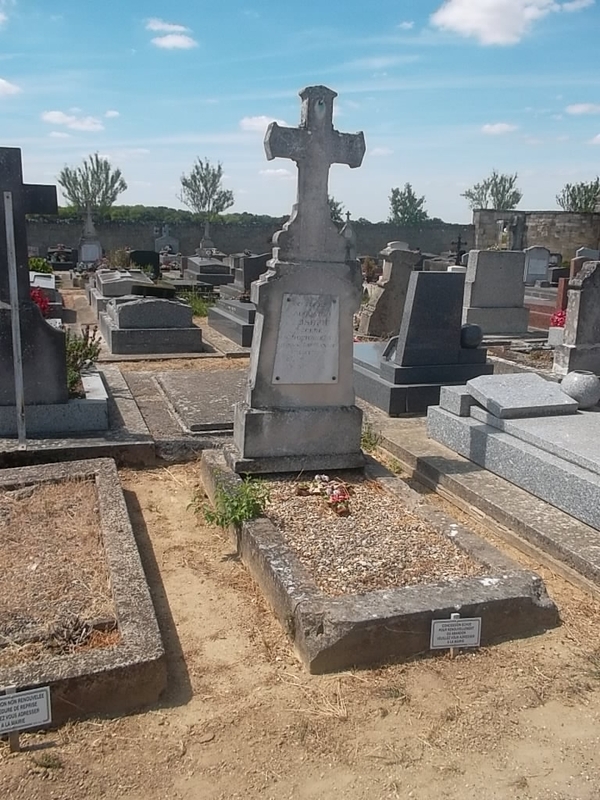 The Auvers cemetery where he lies buried with his brother Theo is one of those I visit. 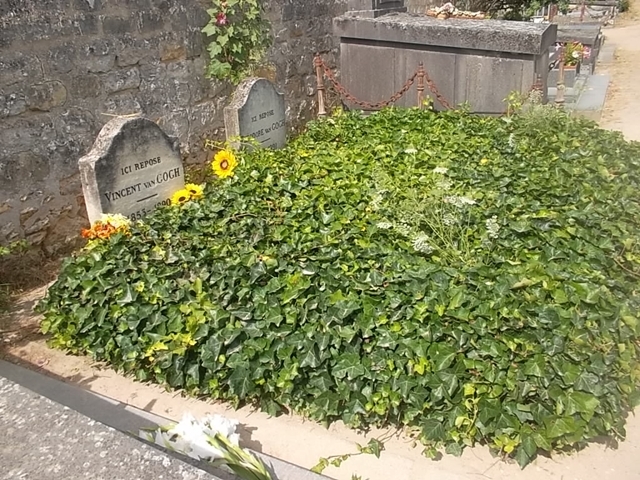 I go there once a year – no more times in a year as I always take visitors to the town to see the little room where he had died and then to walk to the cemetery. 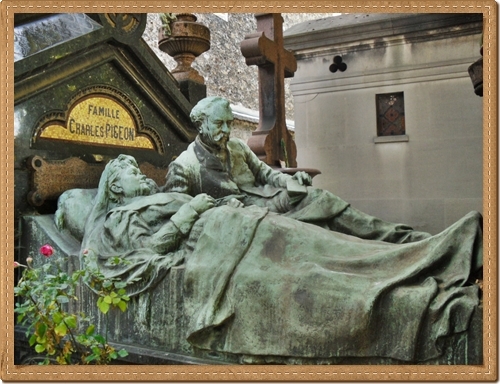 Today the cemetery, because of Vincent and Theo’s tomb, is one of the most visited in France. In France, however, burial is an expensive business. Firstly, a burial plot must be bought. 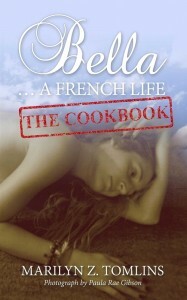 One can either ‘buy’ the plot for a short period like 10 years, or for 30 or 50 years, or for eternity. 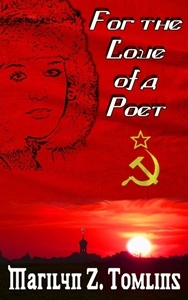 One can either ‘buy’ such a plot before death, i.o.w. when you are very much alive and still healthy, or family could buy it after someone’s death. Buying a plot when it is not, in fact, needed, but could be needed, or would be needed, some time in the future, will save onNote:e money because, as any real estate, the cost of burial plots increase every year. The price of the plot depends on the cemetery. 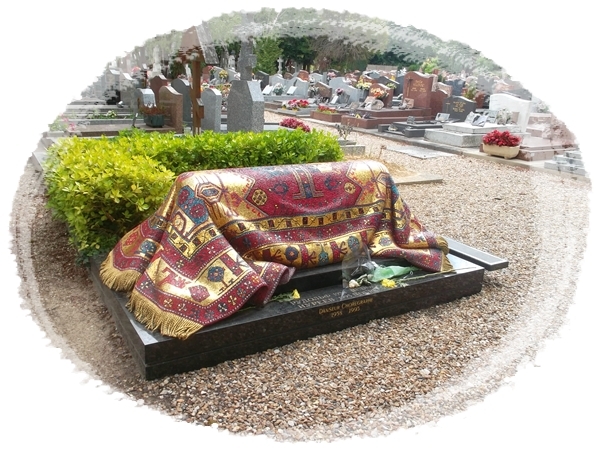 If one wants a larger tomb than one of 2 meters, then every extra meter will double the price. A shelf in its columbarium for placing an urn would cost the same as a 10-year plot. Tomb stones are also expensive. They cost from €2000 to €10,000 depending on its size and what it is made of. 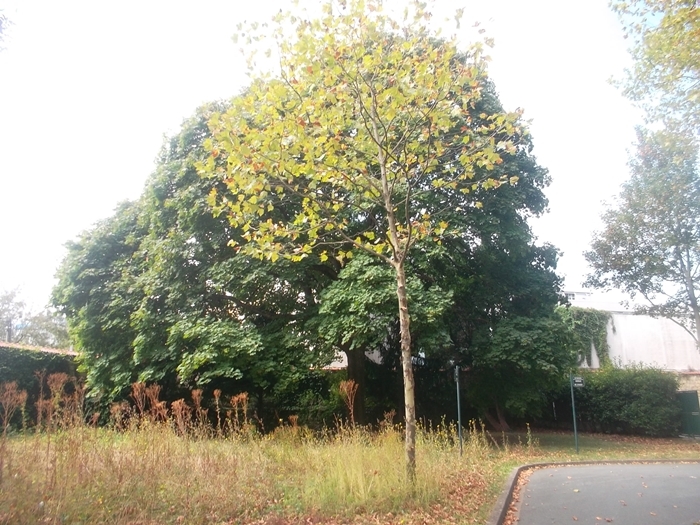 Do not think that one could save money by paying for a plot for say ten years and that at the end of that period the cemetery authorities won’t reclaim the plot. They will and do. Usually a notice is put on the tomb that it is to be reclaimed on such and such a date and the burial period must be renewed at further payment or the burial plot will be reclaimed. If no one has turned up to make a further payment, the remains of the defunct are incinerated and scattered in an area ina consecrated area in the cemetery provided for ashes. 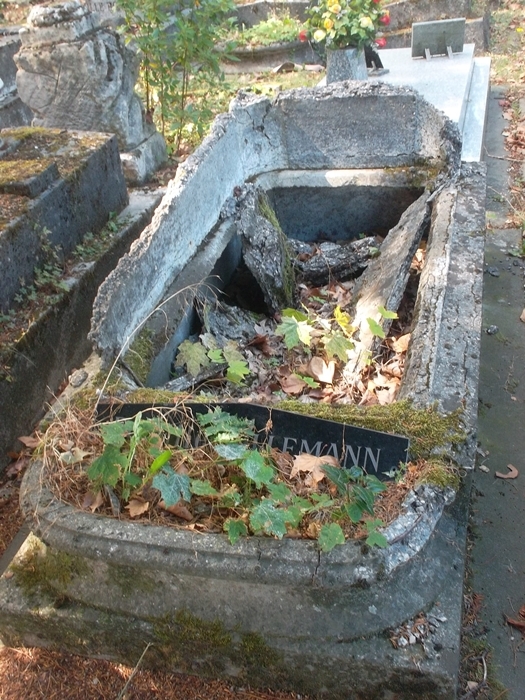 This would also be the fate of whoever lies buried in an obviously abandaned tomb, like the one on the photo below. 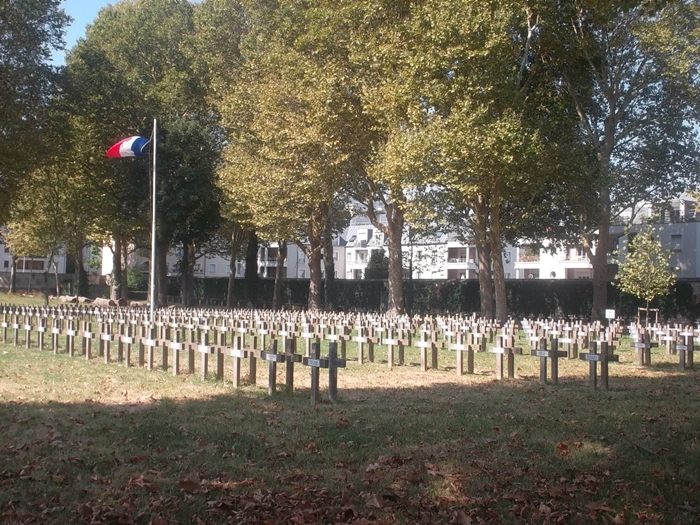 Almost all cemeteries in and around Paris have special areas for the burial of war dead. 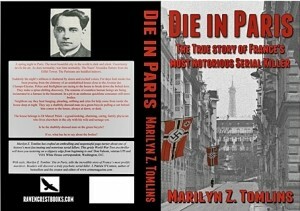 And not only of France’s war dead, but also its enemy’s war dead. 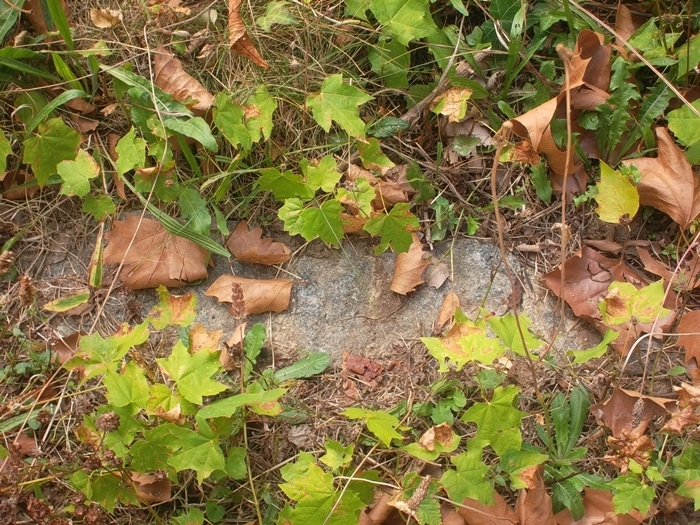 In some of France’s cemeteries there are also mass graves. You will not find plaques bearing the names of those who lie buried in those mass graves because there lie buried France’s guillotined. (France had abolished capital punishment in an act of parliament on October 9, 1981.) Before someone was guillotined the jail where the execution was to take place, like Paris’s La Sante Prison, asked the condemned’s family if they wanted the body. If they did not, or the relatives could not be found, then the body was buried unceremioniously in an unmarked grave in specific cemeteries. 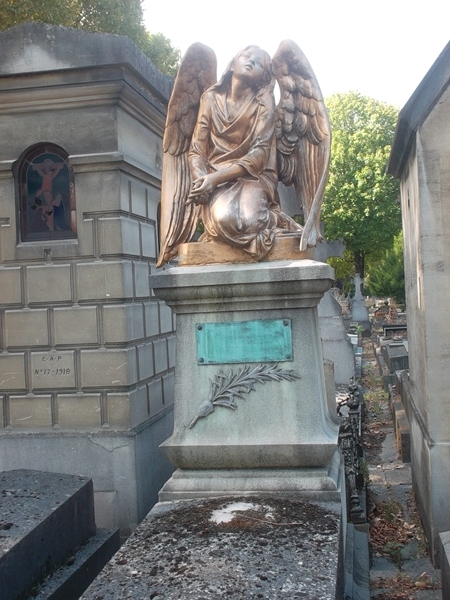 One such was Ivry Cemetery. When those cemeteries no longer had burial space, the bodies of the guillotined ones were dug up and were reburied in an unmarked mass grave. 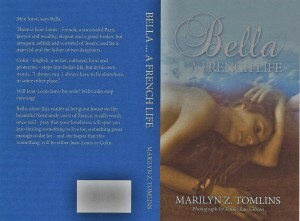 What besides sufficient money to pay for the plot, what determines where someone can be buried? The answer is that the Departed One must have lived in the community, either on death or in the past. Please Note: The prices given above are those of 2018. 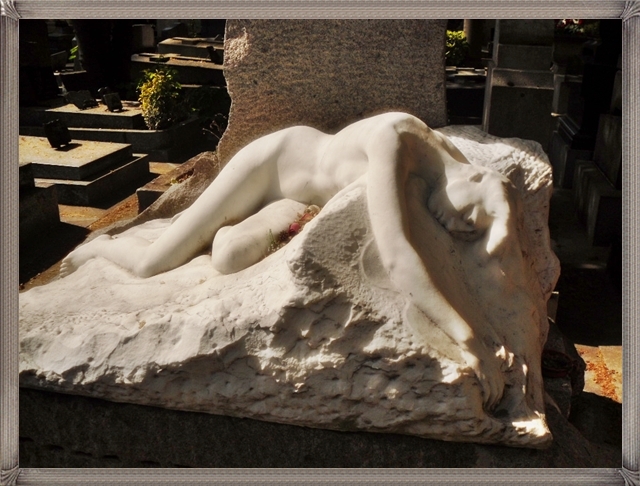 On the following links you can continue to read my writings about Paris’s cemeteries.